Trowbridge’s Willow Jones-Cadette has scooped a top regional prize in a national safety competition beating off more than a thousand entrants from across the UK. 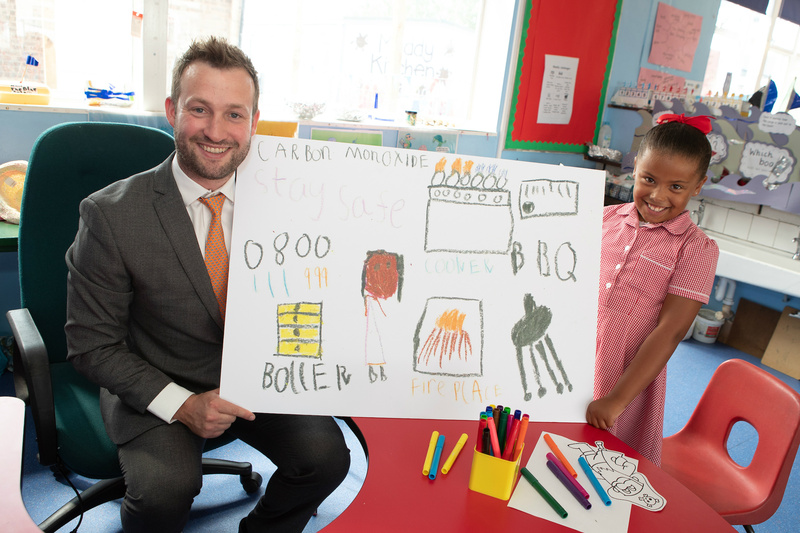 Willow, 7 who attends St John Lloyd Roman Catholic Primary School, won the Key Stage 1 Welsh entry of the ‘Get Creative, Be Safe’ competition which invited school-age children to produce something creative to warn of the dangers of carbon monoxide (CO) poisoning. She picked up her prize of £150 cash for herself and £300 for her school at an event at the House of Commons. The ‘Get Creative, Be Safe’ competition is run nationally by industry body, Energy Networks Association, and supported locally by gas emergency and pipeline service Wales & West Utilities. The safety competition, which was launched at the beginning of the school year by TV and CBeebies presenter Rebecca Keatley, invited children aged 5 to 11 to produce an eye-catching poster, poem or entry in another medium which was both informative and accurate and raised awareness of the dangers of CO poisoning and how to avoid them. The competition is supported by all UK gas networks, including Wales & West Utilities. “As a class we enjoyed taking part in the competition. Not only did we learn about the serious dangers carbon monoxide presents and the steps to take to eliminate them, but pupils were able to put their creativity to great use. “Willow has done a grand job with her entry to the competition and should feel incredibly proud.